Bella will be the final, amazing puppy from Hunter and Tori that we will keep in our program. This cross has produced truly outstanding puppies and Bella will join her full sisters Brook and Carmi to continue to bring the exact temperament, coat and structure to our lines that make our labradoodles such amazing dogs. She lives with her forever guardian home and we are so excited to watch Bella grow with them and continue to develop into a devoted family pet as well as a certified pet therapy dog. Carmi is is a second generation JNB Stables puppy! She is sired by Hunter and out of Tori and showcased from a young age the ideal characteristics we are looking for in our puppies. She has such an outgoing personality and loves to please. We expect big things from this little gal as she grows with her guardian family. Keep an eye on her to be paired with Oakley for beautiful wavy or curly fleece F3 puppies in 2019 in a rainbow of colors and patterns with amazing personalities! Nalu Breeze is the first puppy from our third generation of our lines to join our breeding program. She is sired by Oakley and out of Brook. These two outstanding dogs have amazing temperaments, excellent structure and beautiful coats. We expect the same for beautiful Nalu. She lives with her wonderful guardian home and we look forward to watching her grow and develop and pending health testing will be an excellent mother for our first line of multigen labradoodles. Benelli is a delightful, sweet and very smart little gal. She is the perfect combination of her dam, Kimber and her sire, Oakley. She has excellent conformation and a beautiful wavy fleece coat. We look forward to watching her grow with her guardian family and once she passes all of her health testing she will be a mother to future litters for our program. Brook is our stunning second generation JNB Stables labradoodle sired by Hunter and out of Tori. She has a wonderful, spunky personality and a gorgeous silky fleece coat. As Brook grows we will train her to retrieve both upland and waterfowl birds as well as train her to shed hunt. When she is old enough we will complete OFA testing to ensure she is of the highest quality genetics just like her parents. We are excited to see what the future homes for this special little gal. We look forward to her first litter in late 2018 sired by our beautiful blue merle Oakley for our first litter of F3 pups! Healthy puppies start before conception. 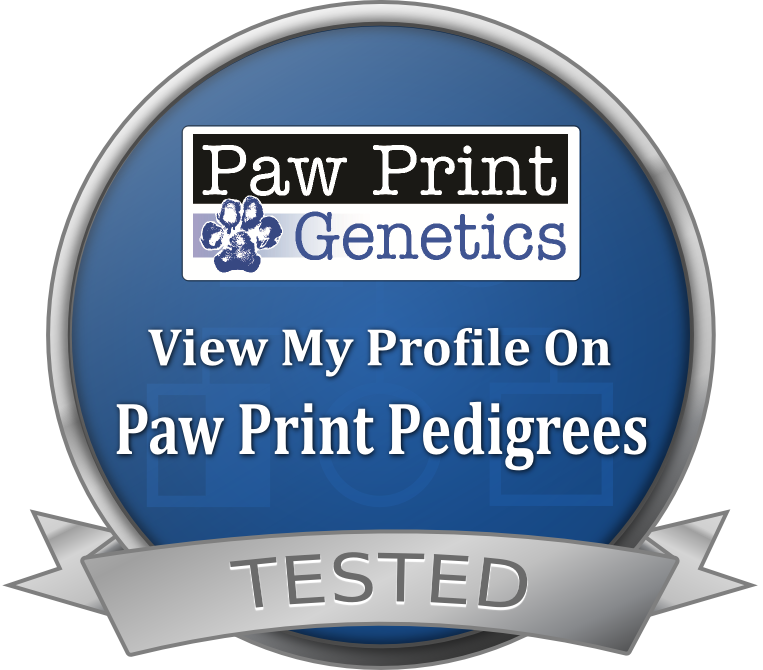 To ensure only the highest quality genetics are passed on to our puppies each of our breeding dogs go through OFA health evaluations for hips, elbows, patellas cardiac and eyes as well as a panel of genetic tests associated with either the poodle or the labradoodle as recommended by Paw Print Genetics. Heart is our beautiful standard poodle we added to our program in January of 2019.